Munnar or Wayanad - Which is better? Are you planning a vacation in Kerala and trying to decide between Munnar or Wayanad? Here is a comparison between Munnar and Wayanad to finalise which is the better place to go. Both Munnar and Wayanad are considered beautiful tourist destinations in Kerala and choosing either one from the two is a really difficult decision to make. I've been to both the places and both of them are really amazing. Munnar is the most popular hill station with thousands of tourists visiting the place every day from Kerala, other parts of India and abroad. Wayanad is an equally important place in the tourist map of Kerala with a lot of domestic as well as foreign tourists regularly exploring the wildlife and village life here. The primary attractions of Wayanad are the beautiful, thick forests and the winding roads through the forests. The primary advantage of Munnar is its proximity to Airport and other tourist destinations like Thekkady (Periyar Wildlife Reserve), Alappuzha (houseboat cruises), Fort Kochi etc. The endless view of tea estates is an amazing view. Also, there are several popular tourist destinations at Munnar including Anayirangal dam, Eravikulam National Park, Tea Museum, Honey Bee Tree, Rose garden etc. The beauty of Wayanad is far beyond the words. The winding roads through the lush green forests and hills are treat to the eyes. There are several small waterfalls, lakes, boat rides and the famous wildlife sanctuary for you to visit. Kuruva Islands is a beautiful island which can be accessed through country style bamboo raft, which is an experience by itself. Which is the most visited place? I have collected some data from the reports published by Department of Tourism, Government of Kerala. This report is based on the data during the year 2014 but is still relevant. It is quite clear in the above statistics that foreign tourists prefer Munnar over Wayanad, with a pretty big margin. This is probably because foreign tourists don't want to get into a lot of activities and adventure when they are on a foreign travel, so they pick the silent and serene Munnar. Also, Munnar is closer to other destinations like Thekkady and Alappuzha, so it is easier to cover it as part of a package tour. The above data shows Wayanad gets a lot more domestic tourists than Munnar. In addition to the adventure and fun activities, there is another reason - a lot of tourists come from Karnataka state and especially Bangalore city. Wayanad is pretty close to the Karnataka border and is easier to reach than any other tourist destination in Kerala. Which place is better and why? As I said in the beginning of this article, it is a hard choice to make. Munnar may be the perfect choice for the people who love to enjoy the nature and like to unwind in a perfect hill station. If you want to spend a few days to relax and away from the hustles and bustles of city life, Munnar is the place to go. Beautiful landscapes, waterfalls and tea plantations make it a much better choice from the scenic beauty perspective. Wayanad, on the other hand, is also a beautiful hill station but situated at a much lower altitude than Munnar. Wayanad would score over Munnar for people who love activities and adventure. Also, it is more suitable for those who are looking for a few days of holidays packed with adventures and activities. There are a lot of trekking options in Wayanad, in addition to the river rafting, boating, historic cave shelters, wildlife safari, rock formations etc are really fascinating. Also, check out the budget resorts in Wayanad. 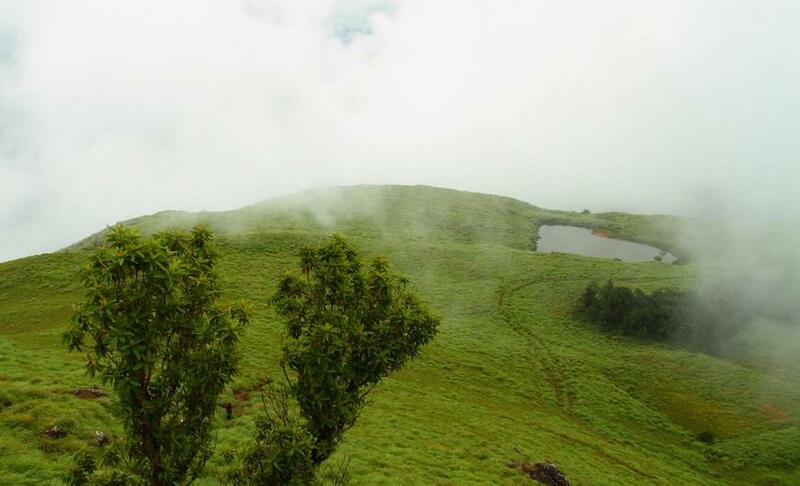 Weather: Munnar has a more pleasant and chilling weather, ideal for holidays. During winter, the low temperature during night often goes near to freezing point or even lower. Wayanad to have a chilling climate but not as low as Munnar. Distance: Wayanad is far from most other tourist destinations in Kerala. If your itinerary includes places like Alappuzha, Kumarakom or Kovalam, then Munnar is closer to those places. Wayanad is a pretty long drive of about 6 hours from Kochi International Airport. Budget: Wayanad is not a single town but is an entire district spread across a wide area of land. For this reason, you can find cheaper hotels and resorts at various locations or in the nearby cities. Munnar is located in a protected hill-station, far from the mainland of Kerala. During tourist season, hotels and resorts may get fully booked and the prices can go really high. My choice: If I have to pick one out of the two, based on the overall serenity, I would select Munnar but by a very small margin. If you have time and budget, I would strongly recommend you include both the places in your travel itinerary.